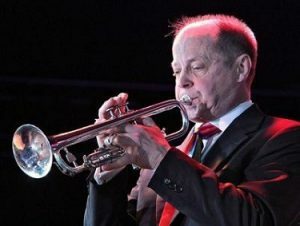 Friday, April 5 / 7:30 p.m.
Hall of Fame drummer Steve Smith and Vital Information are renowned, successful commodities. Smith has been named one of the top 25 drummers of all time by Modern Drummer magazine, and Vital Information, the ensemble Smith began in 1983 when he was still in Journey, has for decades been an enjoyably high-octane amalgam of fusion jazz laced with funk-rock grooves. But for those who favor more straight-ahead jazz, NYC Edition features an important twist. The NYC Edition of Vital Information grafts on members of Smith’s other ensembles, Jazz Legacy, and the Buddy Rich tribute band Buddy’s Buddies. 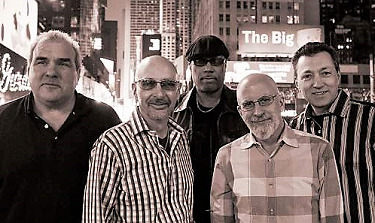 Joining Smith are bassist Baron Browne, guitarist Vinny Valentino, alto saxophonist Andy Fusco and pianist Mark Soskin. Steve Smith and Vital Information NYC Edition released an album Heart of the City that is a lively 12-tune set of covers and originals. Journey and Smith were inducted into the Rock and Roll Hall of Fame in 2017.